Open your doors to breath-taking scenery in luxury townhouses designed to cater to all aspirations. Discover a tranquil lifestyle where you can experience the ease of living in an apartment while enjoying the freedom offered by a villa. 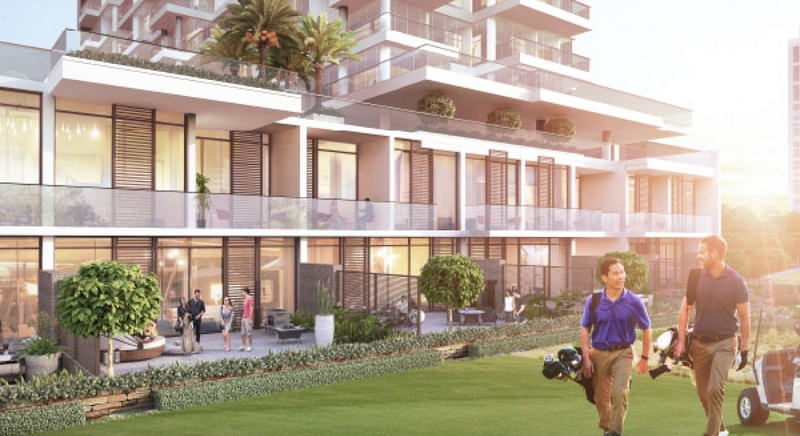 With an enviable location and breathtaking views, our collection of townhouses offers the best of the golfing lifestyle – sprawling greens unfold on one side while a hive of activity awaits you on the other. DAMAC Hills is a luxurious community offering a welcome break from the hustle and bustle of city life, but only a quick trip away from major attractions and business centres. The exclusive clubhouse features high-end restaurants and a luxurious gymnasium and swimming pool, whilst a capacious pro shop stocks the latest in golf wear and accessories. Both children and adults will delight in the variety of amenities on offer – a choice of themed leisure spaces and dining experiences present the perfect place to escape to, without having to venture far from home.